Home > Managing Debt > What is Debt Consolidation? Debt consolidation services are being ever more aggressively marketed, on television and elsewhere. 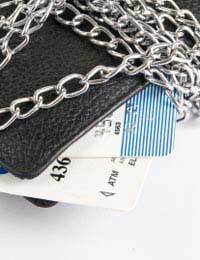 Credit counselling and debt management services have seen that the impact of the ‘credit crunch’ can already be felt, with bankruptcy figures set to rise. Indeed, debt consolidation can be a useful tool for those who are not in a position to manage their debts. However, it is important to understand the true nature of the service, and its potential negative aspects. The process hinges upon a debt consolidation loan. It may seem counter-intuitive to take out yet another loan in order to reduce your debts (you may well have done this in the past and realised the problems associated with borrowing for this purpose). However, a debt management company will be able to offer you a loan of the same value as your existing debts. This money will then be used to pay off your current loans (whether they are credit card debt, overdrafts or personal loans), and you will be left with one single debt. There are a number of potential advantages to debt consolidation. In the first instance, you will no longer have several bills landing on your doorstep every month; rather, you will have a single Creditor and a single monthly payment to make. This is beneficial in several ways; primarily, it is considerably easier to plan financially when you know exactly how much is leaving your account each month and exactly when this will happen. Furthermore, it is easy to become panicked by demands from multiple creditors. This will cease when your loans are consolidated. Finally, one of the most touted advantages of debt consolidation is the lower monthly repayments that they offer. For many individuals this is a necessity, as consolidation is their best alternative to Bankruptcy. However, it is worth remembering that lower monthly repayments mean that you will be paying the debt back over a longer period – and that you will ultimately, therefore, be paying back a greater amount. It should also be remembered that this so-called ‘debt relief’ can frequently only be offered because the debt consolidation companies will give a lower interest rate than your existing creditors. They can only do this, however, if you have some security against your loan. The idea is that secured loans are of a lower risk than unsecured loans, as the creditor knows that they can recoup some of their money if the debtor cannot pay. As such, debt consolidation tends only to be particularly beneficial when an individual has considerable unsecured debts, but also has a large asset – which will almost certainly be their house. You should always remember, therefore, that if you cannot keep up the repayments on your consolidation loan, you are likely to lose your home. If you are in serious or unmanageable debt, it is important that you speak to someone as quickly as possible. There are a number of organisations that will be able to offer Impartial Advice, from the government’s DirectGov website to charity organisations like the Citizens’ advice Bureau.